Driving under the influence doesn’t just apply to vehicles. Anyone who operates a vessel can be charged with an equivalent charge called Boating under the influence (BUI). A vessel includes most types of water vehicles such as motorboats, commercial boats, or any boat that is subject to registration and is used to transport people. Boat operators can be charged with operating the vehicle under the influence of alcohol, drugs, or both. Tennessee has lots of waterways that attract boat operators with all levels of skills from the pure beginner to experienced commercial operators. Every operator can be stopped if law enforcement reasonably suspects an operator is intoxicated or impaired. Signs of influence or impairment include an accident, speeding, and driving too close to other boats. Operators give their informed consent to a chemical test if there is probable cause to charge them. Boat drivers who fail to submit to the test can lose their boat operation privileges. First offense. The operator can be required to spend up to almost a year in jail (11 months and 29 days). Fines can range from $250 to $2,500. The operator’s boat operation privileges can be suspended for one year. Second offense. The jail time is also up to almost one year. Fines range from $500 to $2,5000. The suspension period is up to two years. Third offense. The possible jail time is also up to nearly one year. Fines range from $1,000 to $5,000. Suspension of boating privileges can range from three to 10 years. Typically, offenses that are more than 10 years old don’t count as subsequent offenses. 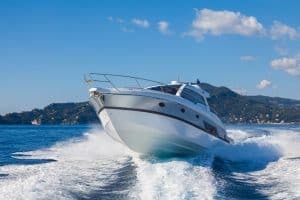 There are many defenses to DUI charges; whether you were operating a boat, a car, a truck, or any vehicle. The burden is on the prosecution to prove every element of its case beyond a reasonable doubt. At the Law Offices of Adrian H. Altshuler & Associates, our DUI defense lawyers have helped obtain many not guilty verdicts, dismissals based on the exclusion of evidence, and the negotiation of fair plea deals. To speak with an experienced DUI defense attorney, please phone use now. We represent defendants charged with any type of DUI in Franklin, Columbia, Brentwood and nearby areas. You can reach us at 615.412.1121, or complete our contact form to schedule an appointment.